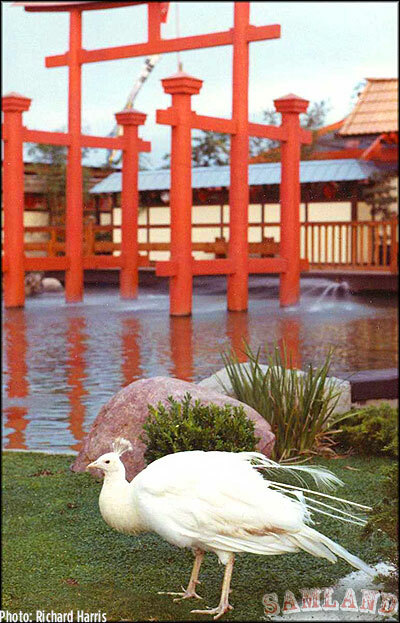 Once upon a time, guests from around the world could gather in the small town of Buena Park California to visit the largest Japanese cultural and recreational center in the Western hemisphere, and then head off to look at wax figures and eat Boysenberry pie. At least that was the dream of Allen Parkinson according to historian Richard Harris. According to Harris, the park was the dream of Allen Parkinson who made his fortune inventing Sleep-Eze. 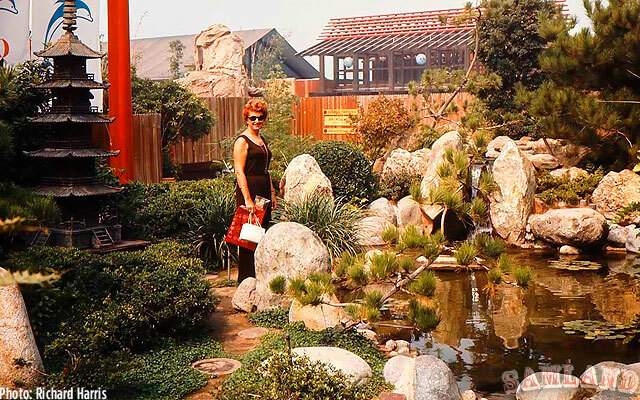 He also owned the Movieland Wax Museum in Buena Park and he wanted to expand his empire. 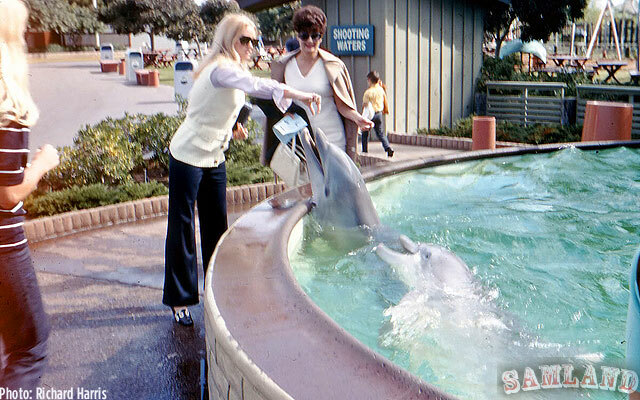 Dolphins, sea lions, and bears at the Sea Theater entertained guests every hour. There was also a karate arena where exhibitions of the martial arts were held as well as competitions between various karate clubs. In 1968, well-known martial arts expert Fumio Demura would star in the first professional Karate demonstration in the world. The show lasted seven years until it moved to the Las Vegas Hilton. 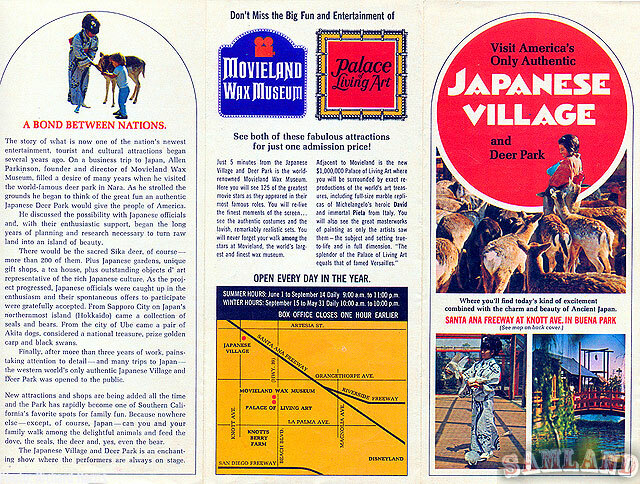 In 1970, Recreation Environments, Inc. of Newport Beach acquired both the Deer Park as well as the Movieland Wax Museum from Parkinson for an undisclosed sum. 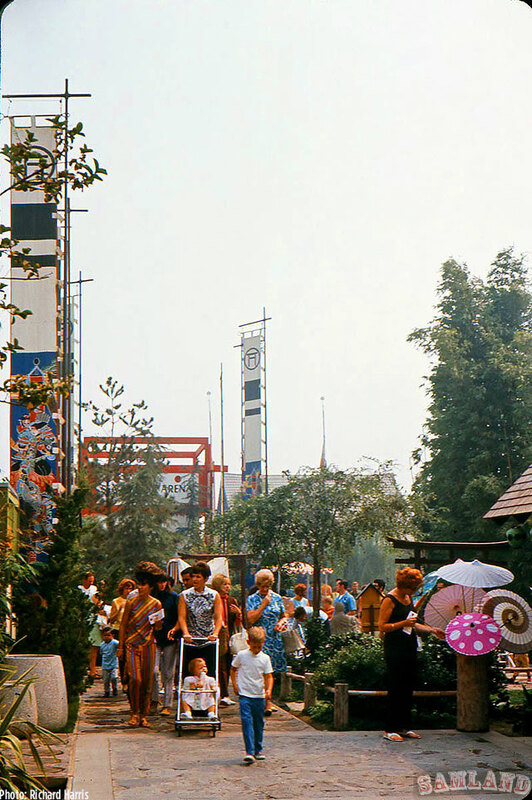 That did not last very long and they sold the property to the Six Flags Corporation, a subsidiary of Great Southwest Corporation just two years later in 1972. 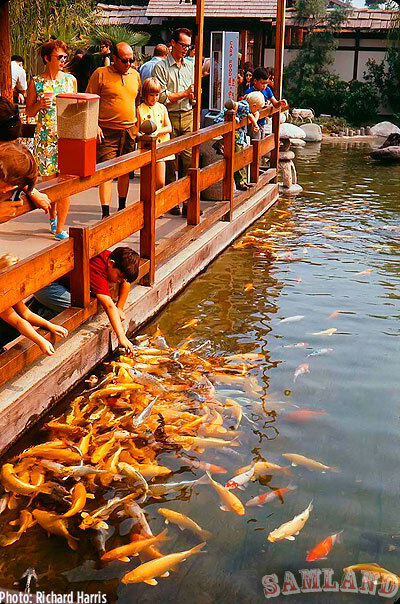 The company cited the economic outlook for 1975 and the slowdown in Southern California tourism as part of their decision. Harris argues that tourism figures compiled by the Southern California Visitors Council had indicated that the number of out of state visitors declined less than one percent in the first seven months of that year. If you enjoyed today's article, then you will LOVE the new book written By Sam Gennawey, Walt and the Promise of Progress City. 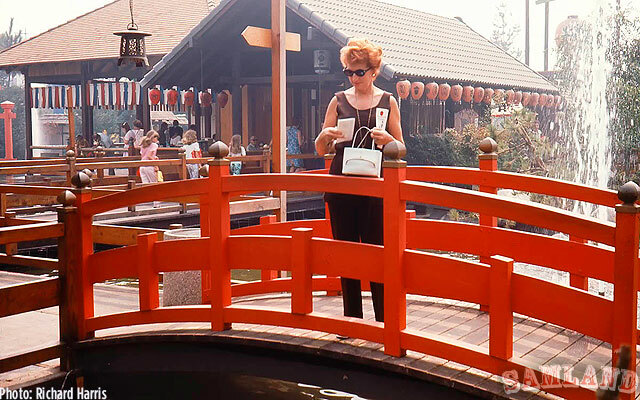 Disney Legend Marty Sklar said, "[Sam has] captured much of the attitude and events of the times, and hit on much of Walt's drive and inspiration. [His] research into materials and people who were important in one way or ano the r is exemplary. The notes from Buzz Price, John Hench and Marvin Davis, for example... the apparent influence of Victor Gruen's theories...a relationship that developed with James Rouse - all insightful. It is clear, well researched and useful and thoughtful to anyone studying urban planning." Follow Samland on Facebook and Twitter. 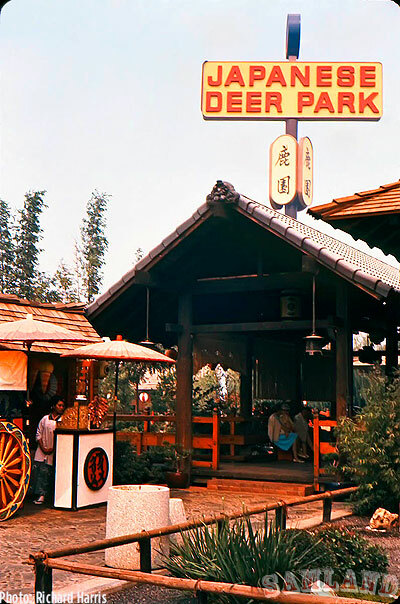 My only memory of the deer park is passing its sign on the way to Disneyland. I am not fooling. 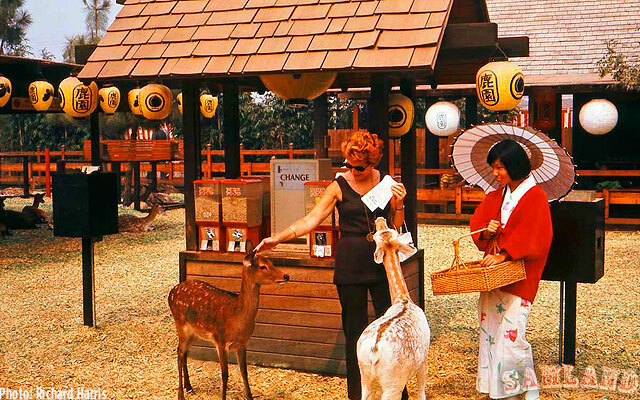 Those deer were trained to bow to you when you fed them those crackers. I remember this clearly. Great history. I remember going there, and not much else. 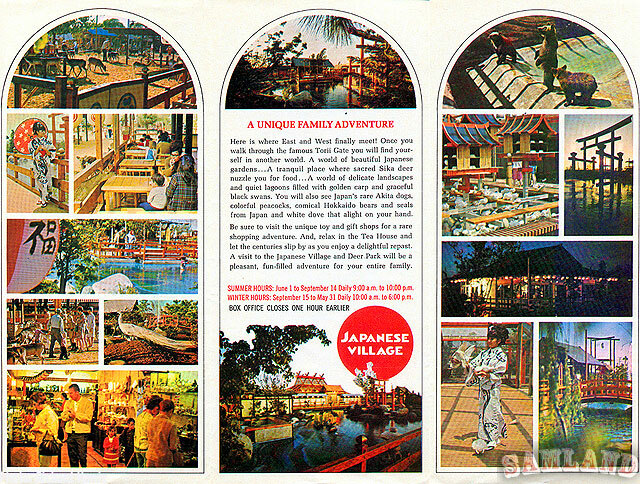 Small attractions were every where back them. 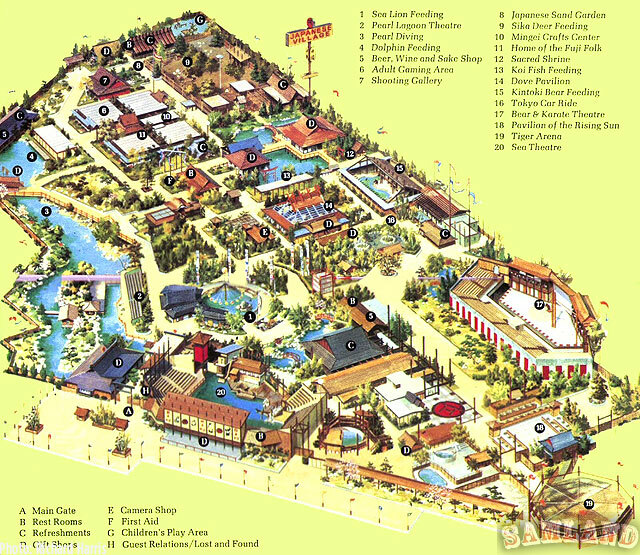 California Aligator farm, Bush Gardens, Pikes. It was a good time to be a kid.